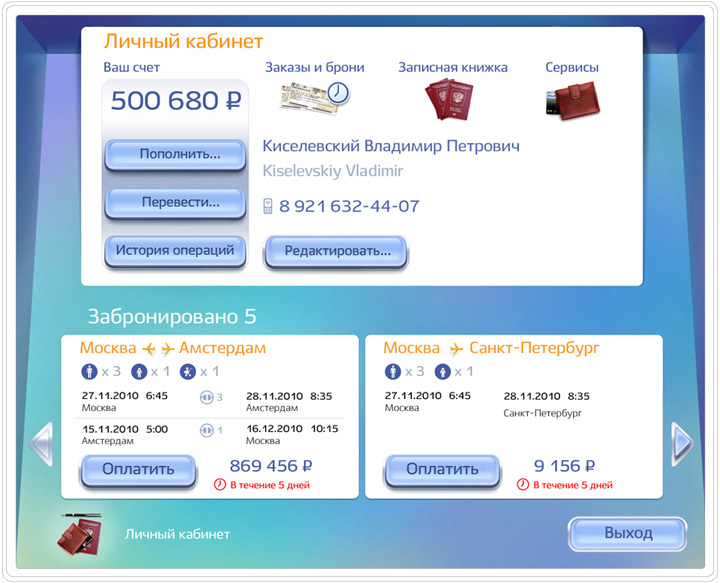 Task: To create a kiosk interface for purchasing air tickets, railroad tickets, booking hotels, and paying utilities. Just Travel are special kiosks to help you book your next trip. 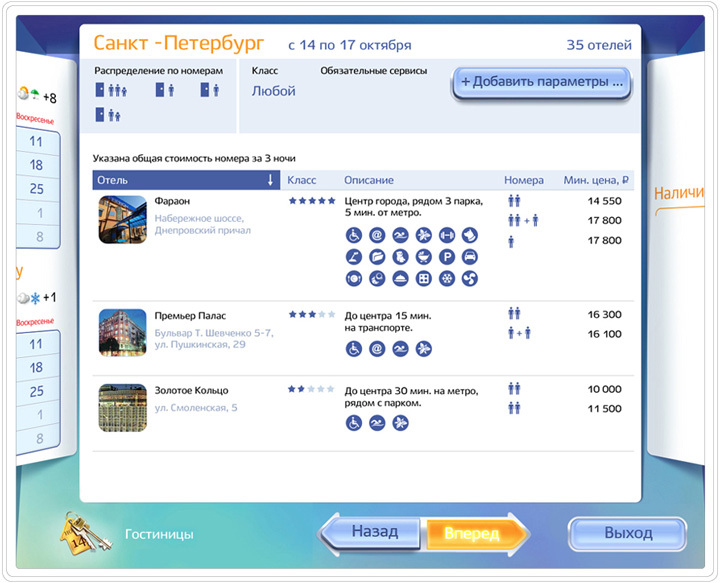 They allow you to find and buy air or train tickets and will soon feature finding and paying for lodging as well. They also do all you expect from pay kiosks—accept cell phone and utilities payments. The interface is extremely realistic. All the tools are intuitively recognized as familiar objects. The screen appears tilted a little to resemble a desktop surface upon which there are scattered unmistakable icons, making the kiosks accessible even for non-computer users. When you pick a service or option you need, paper sheet-looking forms are placed on the “desktop” for you to fill in. This feature also helps with navigation as you see clearly what has been done and what is the next step. Page flipping-over animation facilitates extra options, such as login, and edit your order. The current “sheet of paper” flips on the other side on the screen, revealing an extra form, then turns back to the original face side or moves over for the next step. 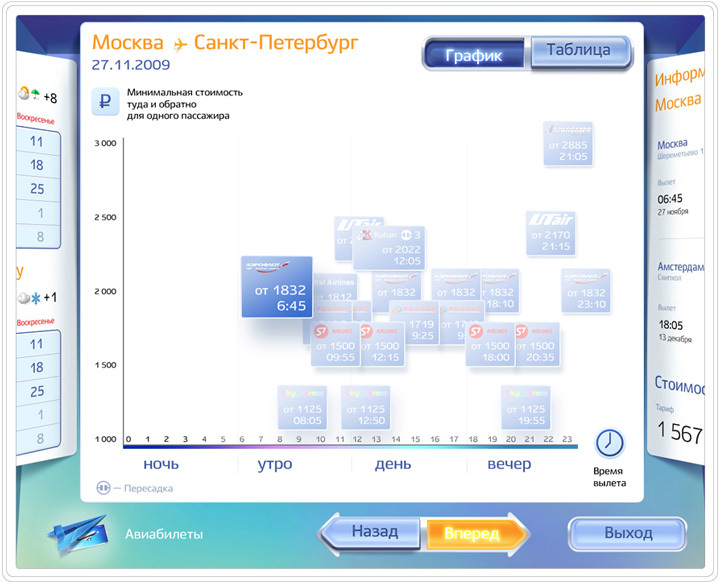 All interactive elements are carefully sized for even inexperienced users to hit it each time with ease. Seasoned travelers can skip entering lengthy city names, using the airport abbreviations and railroad station codes instead. We also replaced a familiar, yet tiresome tables of flight options, with a dynamic timetable for a more friendly summary of the best schedule-value combos. 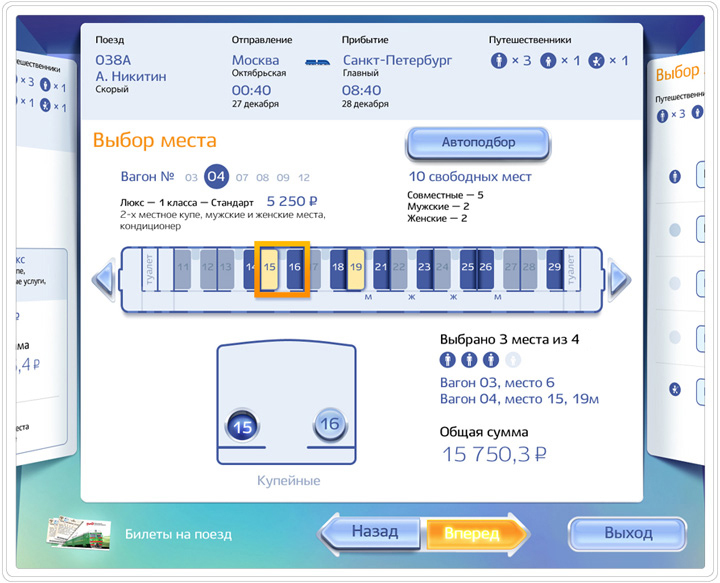 When choosing your train ticket, it’s easier to pick the best seats, thanks to the car layouts. 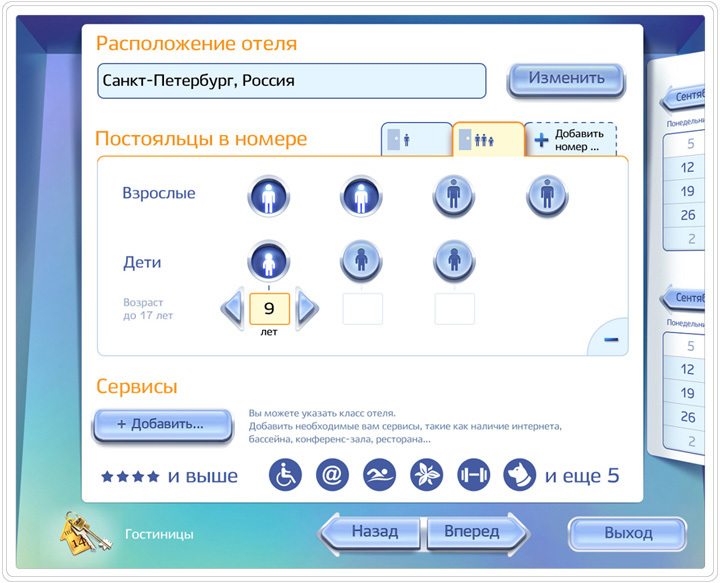 The system will also offer you some suggestions based on your group size and age. You can pay for your purchases by a credit or debit card, cash, from your Just Travel account, or through internet-payment systems. These kiosks accept payment for tickets booked elsewhere as well. 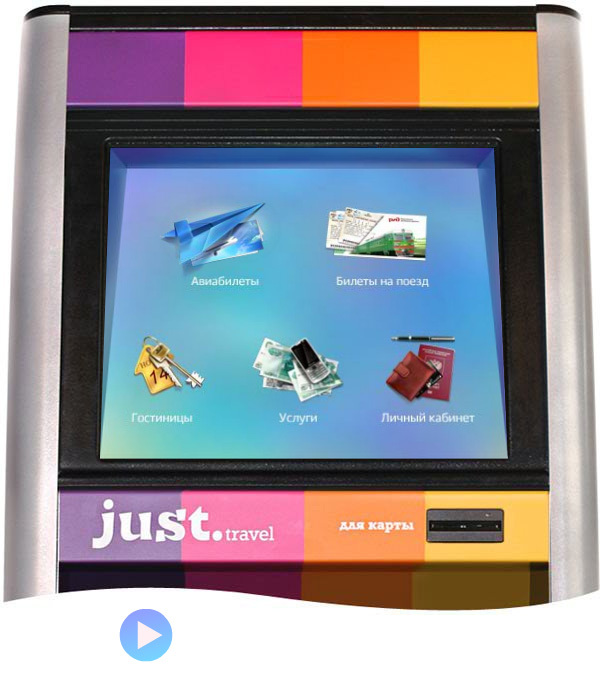 Your electronic ticket is e-mailed to you or sent via cell phone, all your other orders are available for review and print out from the kiosk itself. When done with the tickets, finding the perfect-fit lodging is all you have left to do. The list will show all local accommodations meeting your requirements. Again, the system will make some suggestions, based on your traveling party needs and interests. All services are illustrated with clear pictograms. Chosen rooms are highlighted. Taking care of your cell phone and other bills before your trip will make things even more enjoyable. You are even spared scrolling down the list of providers—just enter your phone number, invoice number, or service name. Your account is like a virtual mobile headquarters, holding all the info on purchased tickets and other reservations at your fingertips through any Just Travel kiosk. You receive your access password by text-message. 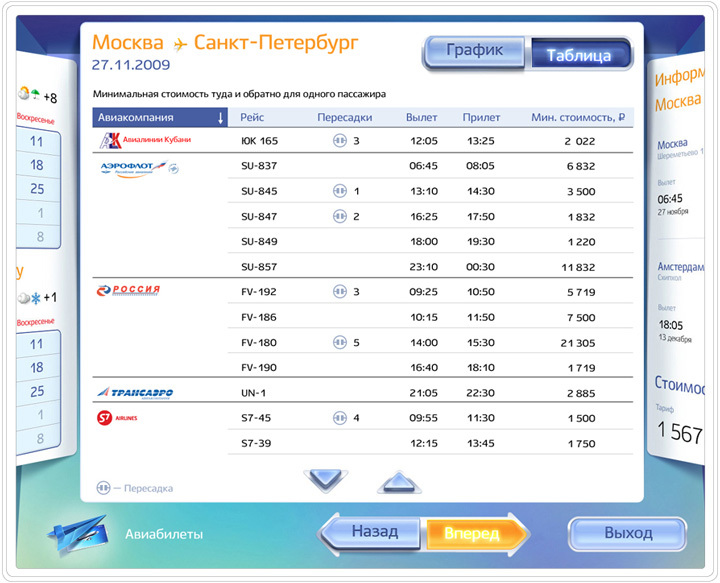 You’ll find it convenient to keep track of your common co-travelers, entering them only once. If you did not log off by pushing a button, it will happen automatically after a short period of inactivity.